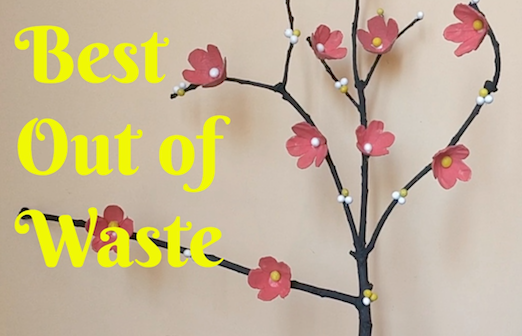 How to make best out of waste using tree branch and egg carton. Easy recycled DIY craft at home. Material used for : Tree branch, egg carton, thermocol balls and acrylic colours.